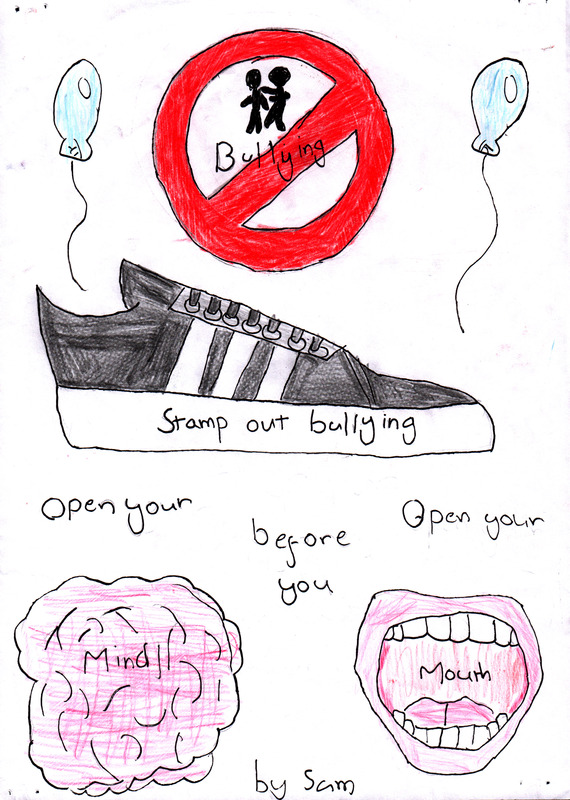 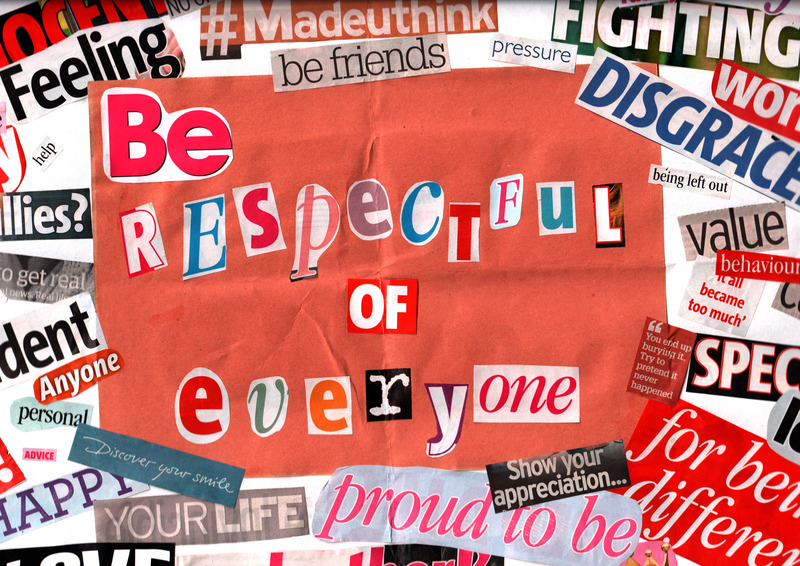 Get ready to be inspired by the posters created by Oxfordshire's young anti-bullying campaigners! 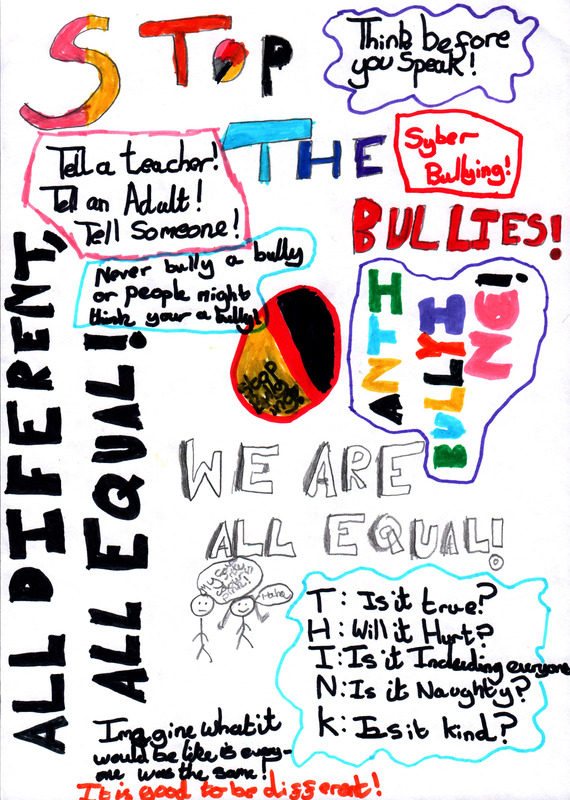 The winners and commended entries for the 2017 Anti-Bullying Week poster competition have been announced! 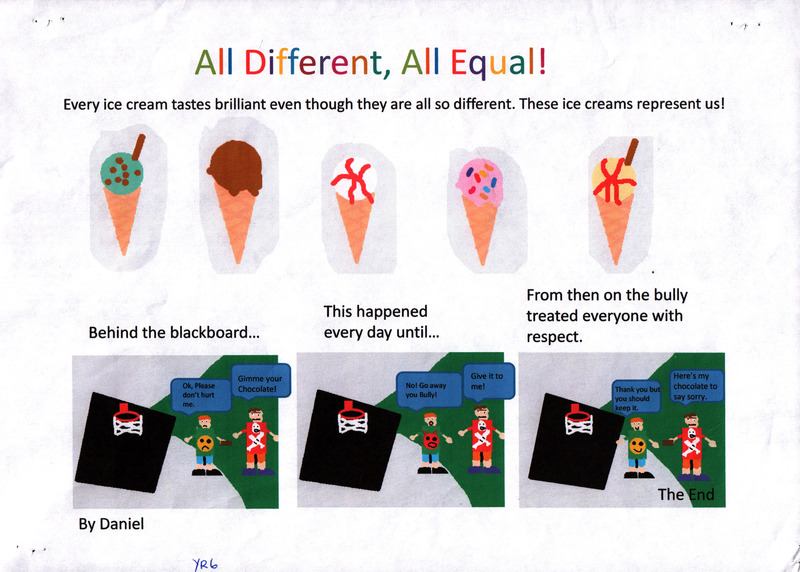 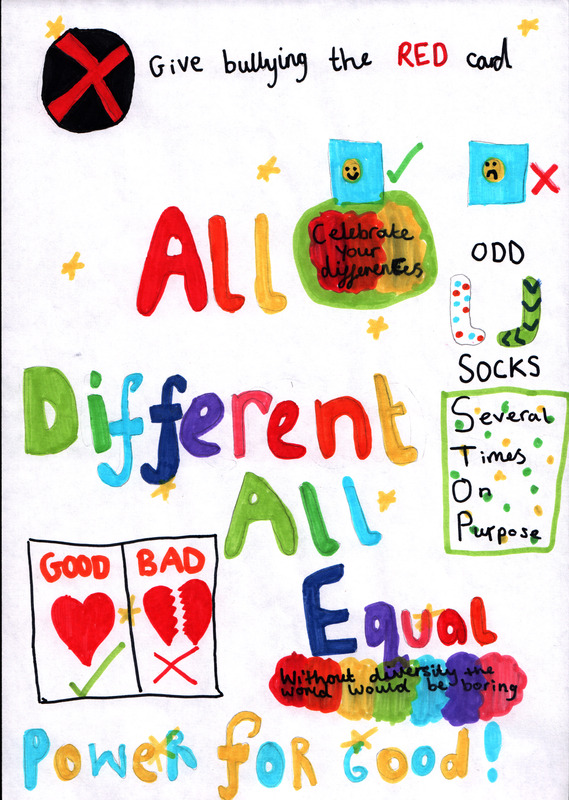 Congratulations to all the young people who created thought-provoking and inspiring posters to celebrate diversity and emphasize how we are 'All Different, All Equal'. 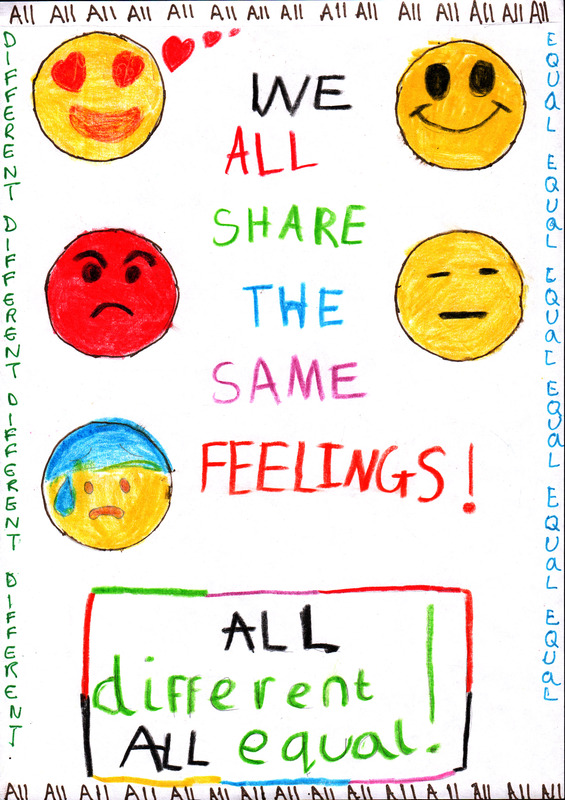 During Anti-Bullying week 2017, which ran from the 13 - 17 November, schools all across Oxfordshire were set the challenging task of making posters and creating comics to tackle bullying. 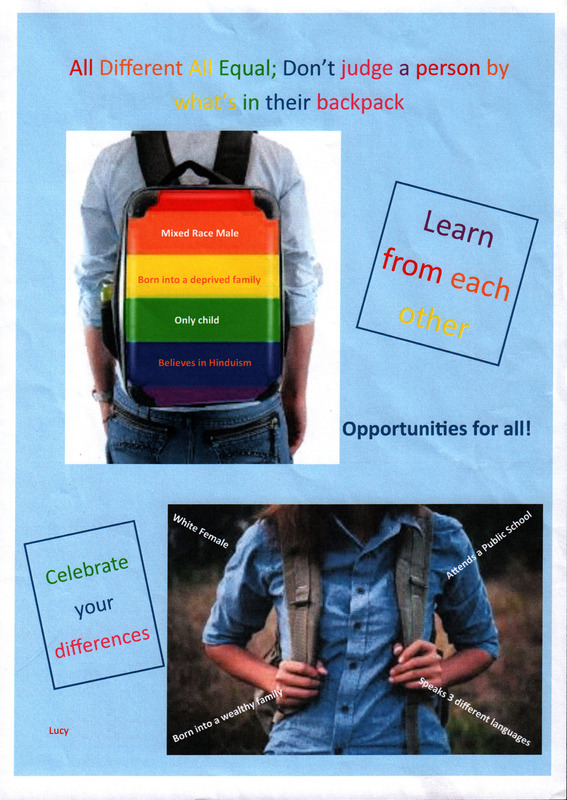 So browse through these winning and commended Oxfordshire entries, and get inspired to make a change this year! 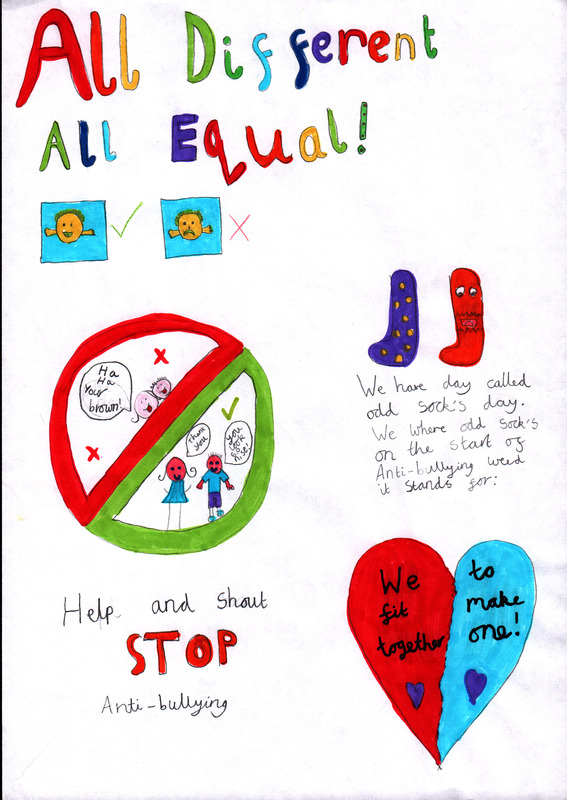 Commended entry for the 3-8 age group, submitted by Ella, Chilton Primary school. 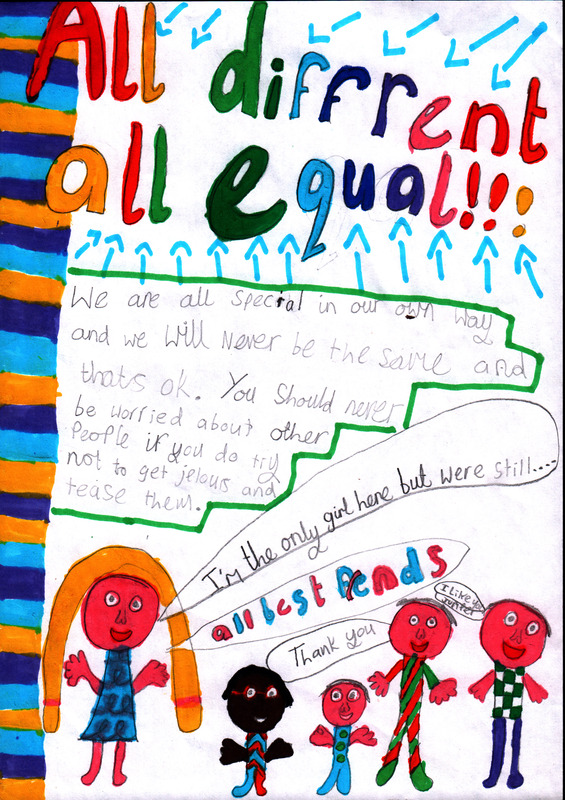 1st prize entry in the 12-19 age group, submitted by Rossie, St Gregory the Great Catholic school. 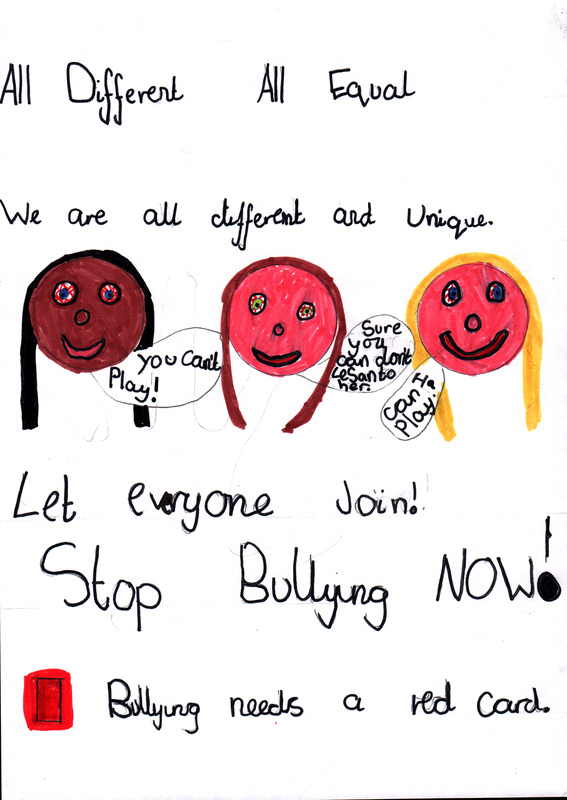 ABA are official organisers of Anti-Bullying Week. 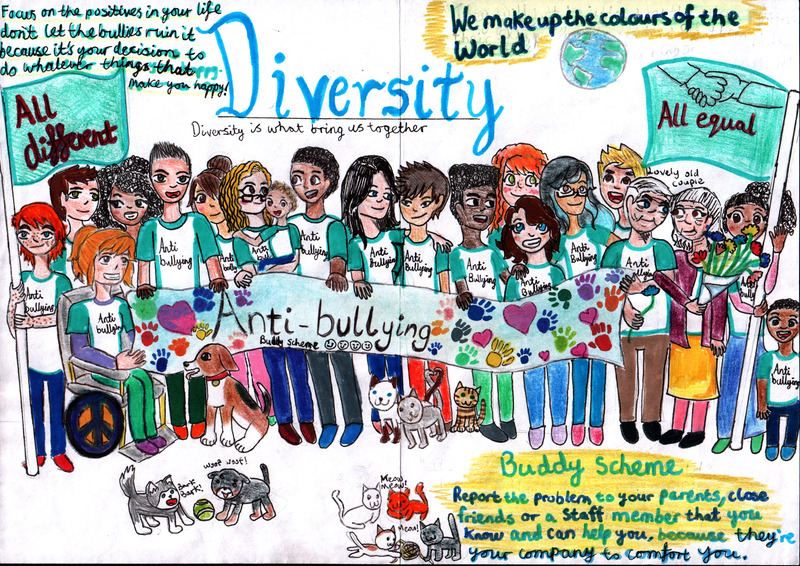 Anti-Bullying Week 2017 was a great success. 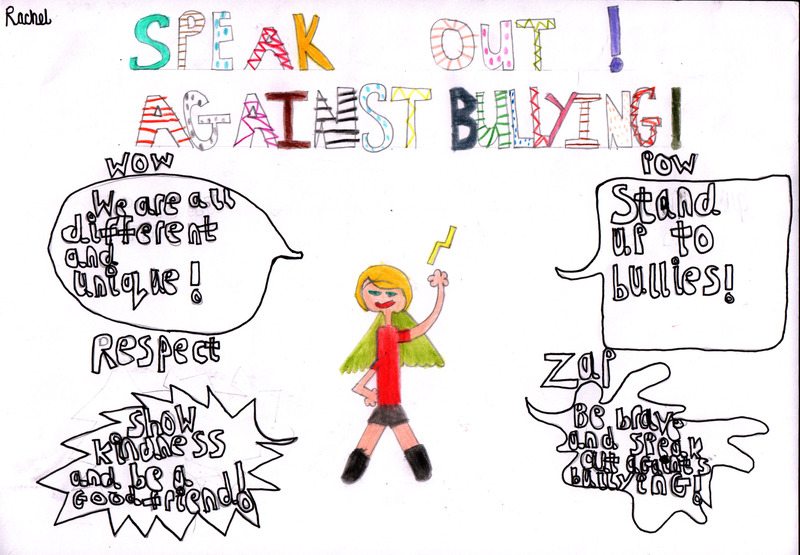 Anti-Bullying Week 2018 will be held from 12th - 16th November.